Very large, brilliant orange fruits are oblong, lightly ribbed. They do get large--60 pounds or larger is possible. Yet flavor and texture are not compromised. 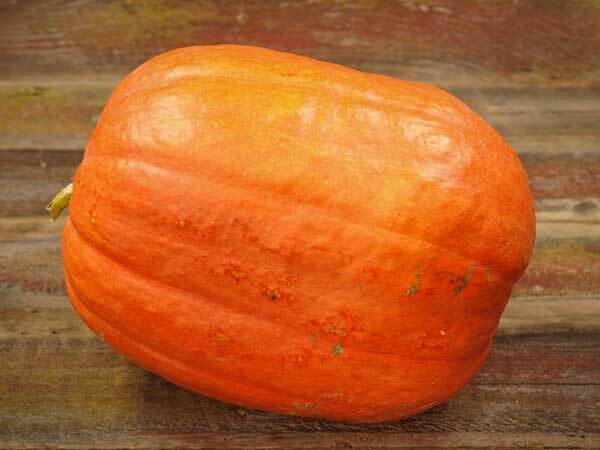 Makes great pumpkin pie. Great choice for school- or community gardens, food-banks, etc. 120 days.